Not Motorcycle Related But.... It Has an Engine! This has been my semi off season project. 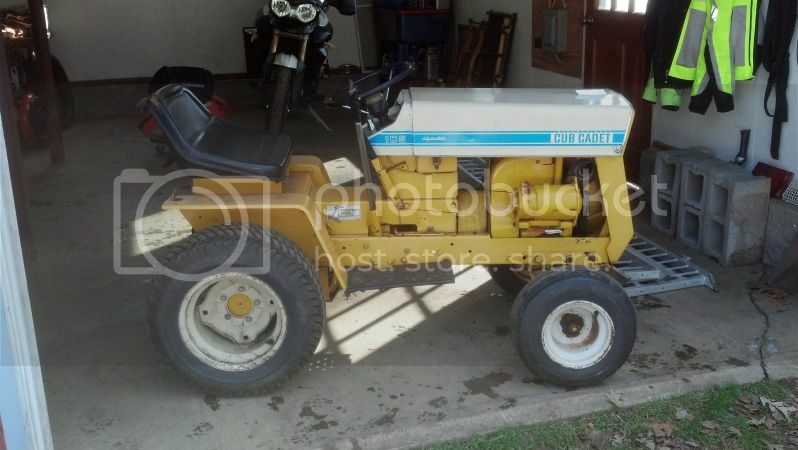 I've been wanting a riding lawn tractor for quite a while now but the new stuff I see out there just doesn't impress. 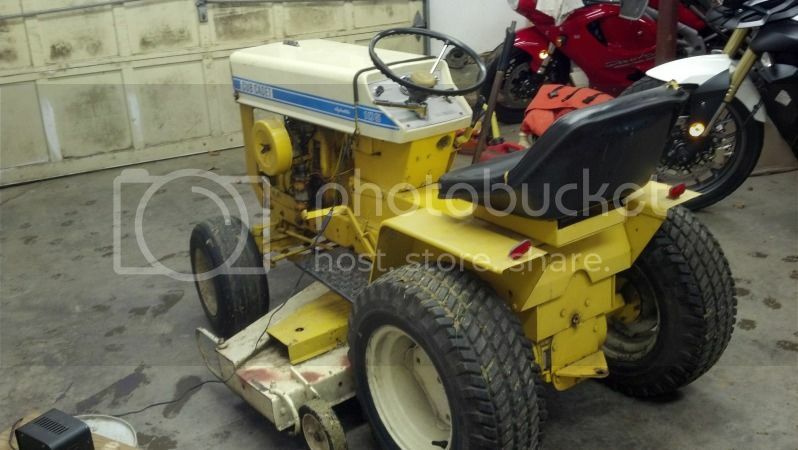 So I picked up this vintage Cub Cadet that was in need of some work. It's got a 10 HP Kohler that puffed more exhaust out the breather than the muffler. So a total tear down of the engine was in order. What was supposed to be a 0.010" ring gap was now a 0.080" gap. Believe it or not, the bore was in pretty good shape. So just a quick ridge break and a hone was all the block needed. 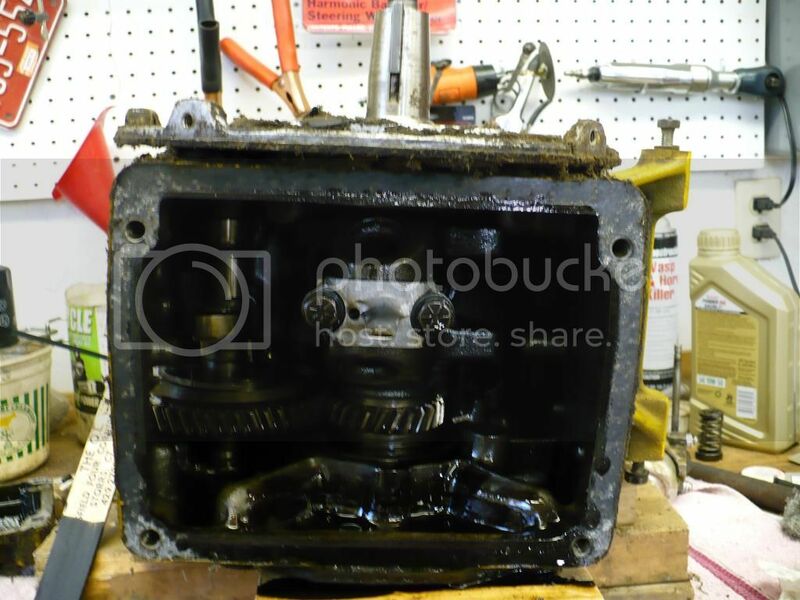 The factory connecting rod was still all within spec. So I added a new piston, rings, gaskets and valve lap and put it all back together. It runs like a top now. 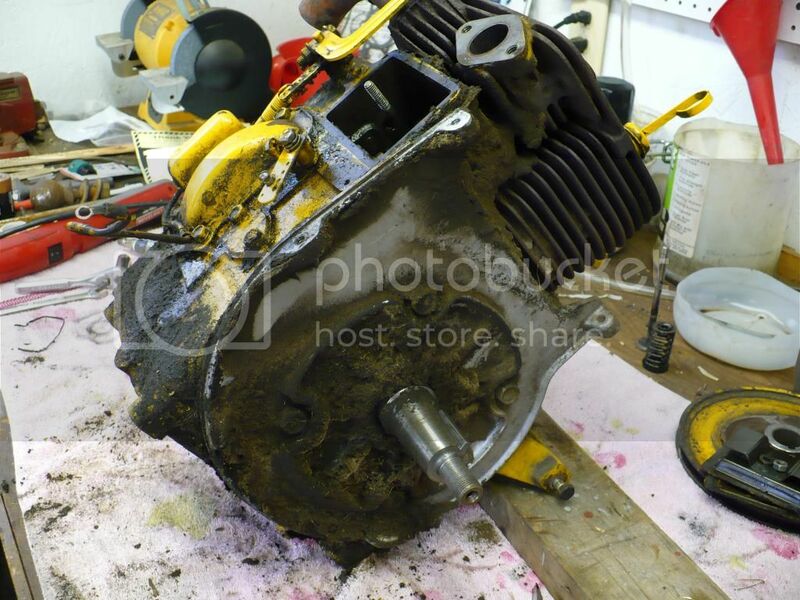 Once I took the engine out I found that the wiring harness had all been hacked, broken and cut up. I would have spent ages fabricating a new harness so I found a company that makes exact replacement harnesses. The harness was actually a perfect fit (hard to find that now a days) and made the installation very easy. Right now the 48" mowing deck is all in pieces. I have already replaced a few bearings in the spindles. Now the deck will get fully sandblasted and repainted the factory white/tan color. This was how it started out. This is where it went. Where it is now, minus the deck. Re: Not Motorcycle Related But.... It Has an Engine! What year? mine is from around 1968, with the 12.5 hp Kohler. If you ram it into a rock, the rock breaks. 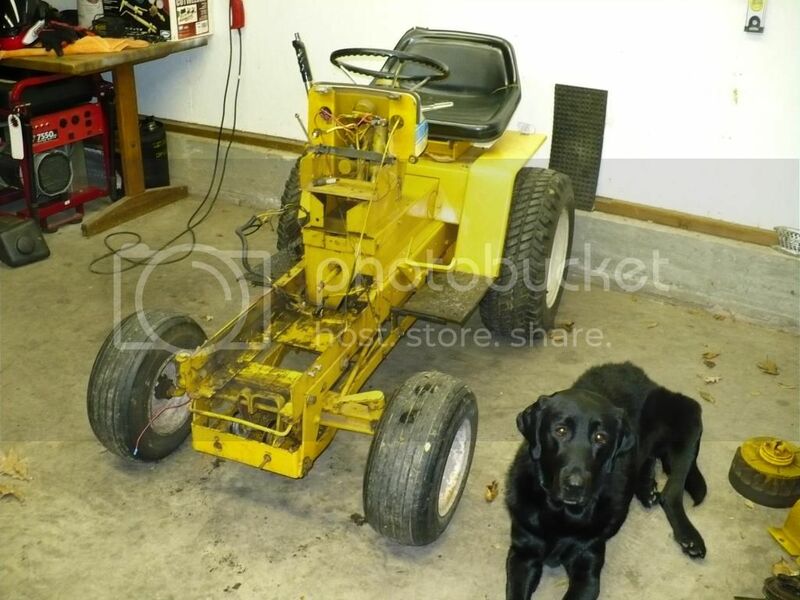 I got it with mower deck and plow, a few years ago i got my hands on the snow blower for helping a guy clean his barn. I do have the original manuals for mine. It was my gandfather's. I really like these projects way cool! Barry, from the serial number it looks like mine is a 1968. It is the model 105, first year for the hydrostatic transmission. I agree with you on breaking rocks rather than bending the tractor. The damn thing is super heavy. I thought I was going to lift the front up in order to roll it over the deck, wow, ouch! I spotted a snowblower attachment for it on Craigslist down in Wallingford but I wasn't sure if I should even bother. It seems like I'd need wheel weights and chains in order to do much moving in the snow. That is cool that the tractor stayed in your family. Having the manuals would have been a plus for me at times and it would add to the value. You can get most of the manuals online now it seems. I'll try and post more pictures as things progress. Mine is a model 125. My grandfather had a 10 horse with manual transmission before that, but it was not quite up to groundkeeping his 18 acres around the hunting lodge he ran. In the 50s he started building bungalows to make some summer income. Never enough to actually live on, but income. If we do a Catskill ride, I might pass that way. Most of what he built is still there, but it is a religious colony now. The last friend I had in the area moved away last year, prior to that I did a (long) dayride to see him every year.